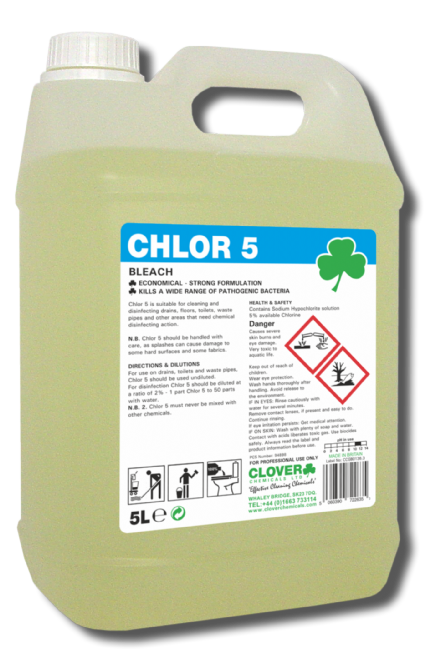 Suitable for use to clean and disinfect drains, floors, lavatories, waste pipes and other areas that need a powerful disinfectant. 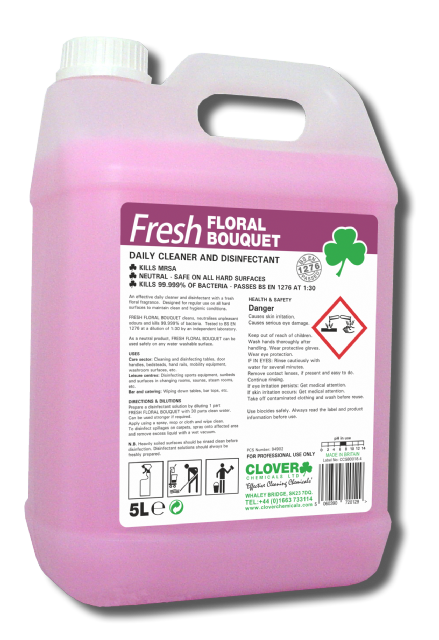 Clover Fresh Floral Bouquet - Fragrant Cleaning Chemical and Disinfectant Kills 99.999% of bacteria. An effective daily cleaner and disinfectant with a fresh floral fragrance. 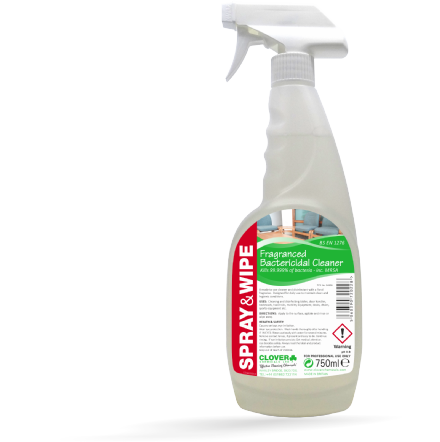 Designed for regular use on all hard surfaces to maintain clean and hygienic conditions. 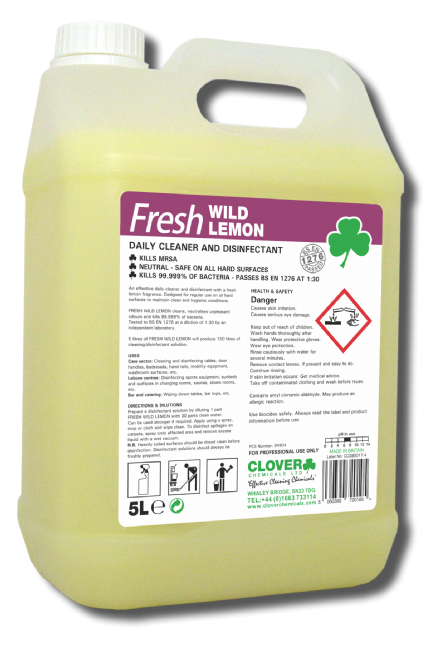 Clover Spray & Wipe Fragrant Cleaner and Disinfectant Kills 99.999% of bacteria. A ready-to-use cleaner and disinfectant with a floral fragrance. Designed for daily use to maintain clean and hygienic conditions. 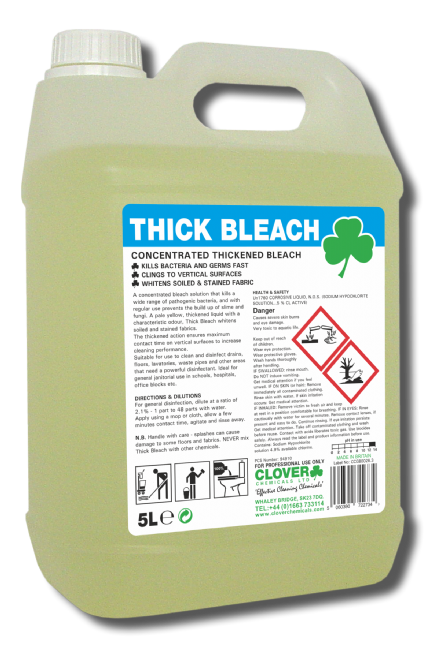 A concentrated bleach solution that kills a wide range of pathogenic bacteria, and with regular use prevents the build up of slime and fungi. 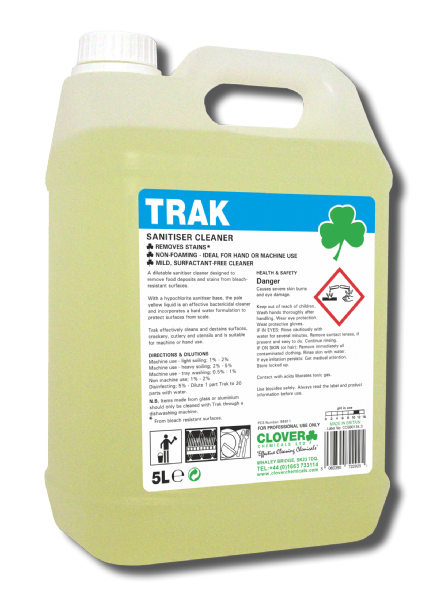 A sanitiser cleaner designed for use in automatic dishwashing machines, Trak is especially effective for the removal of heavy tannin and coffee stains. 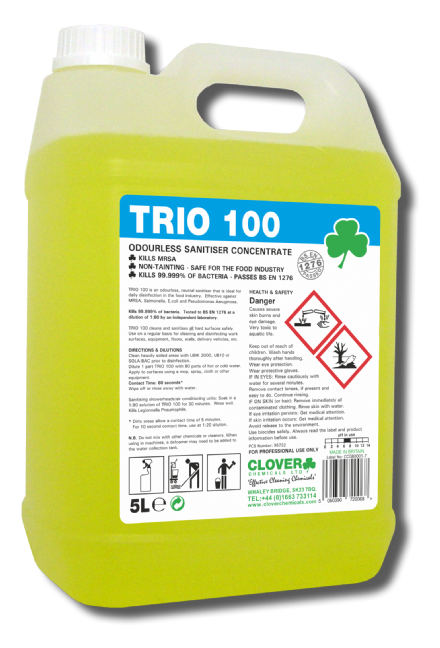 TRIO 100 is an odourless, neutral sanitiser that is ideal for daily disinfection in the food industry. Effective against MRSA, Salmonella, E.coli and Pseudomonas Aeruginosa. A pH neutral daily cleaner and disinfectant with a very long lasting pine fragrance. 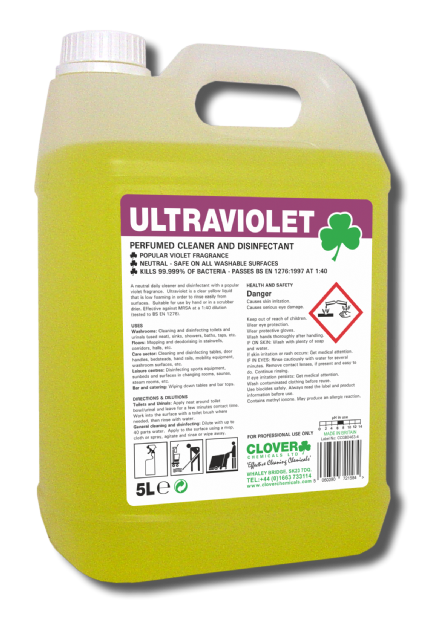 A neutral cleaner and disinfectant with a popular violet fragrance.